Past and present , measured life of vintage nobles estate XIX century and convenience of the modern tourist center occur in Dudutki. Here you will get to know the culture of nobles court, the work of the artists, culinary heritage of our ancestors, charming nature, surprising fauna. All artifacts can be touched and tasted. 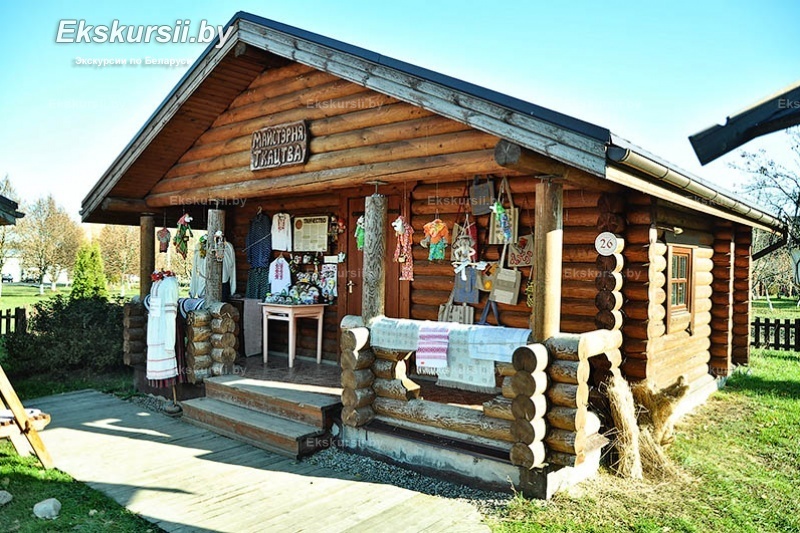 Dudutki – the place where the Belarusian traditions and crafts will recover on your eyes. In the museum the most talented masters of blacksmithing, a solomopleteniye, weaving, woodworking, fulling work. Will not leave indifferent and ancient Belarusian recipes according to which here still cook bread, oil, alcohol and many other things. 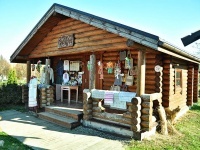 You will taste the most tasty products of local production. 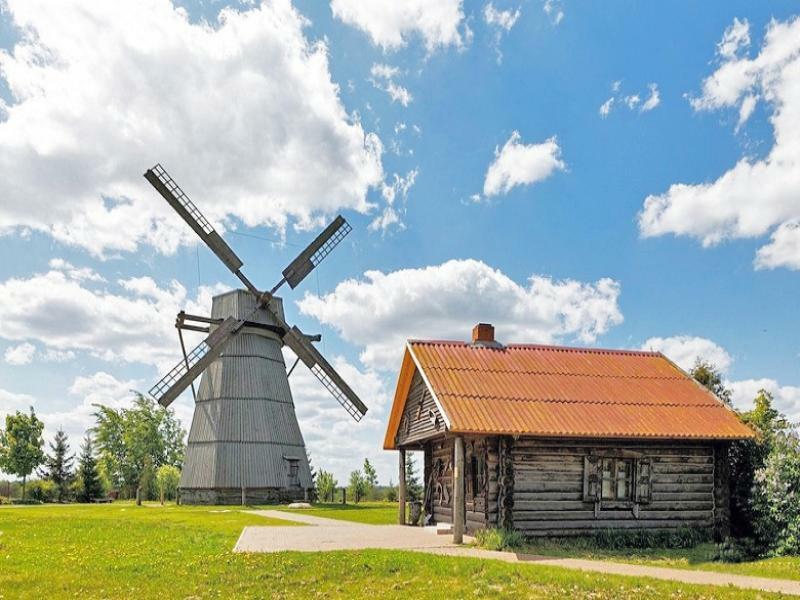 Besides workshops the only windmill in Belarus which will slightly open for you a curtain of a secret and fulfillment of desires remained here. Bright impressions will leave also rare models of retrocars. In free time in a complex it is possible to take a walk in a zoo and to sweep on horses. Belarus - the country which is interesting not only by history and culture, but also traditions of the ethnic cuisine. Even, appear, ordinary products: cheese, bread, tea, butter - here prepare according to especially skillful recipes. In Dudutki you will try the various production prepared according to traditional recipes of the 19th century. 04-January-2019 Бронирование экскурсии понятное и удобное, качественный сайт. Приобретали у Вас 2 экскурсии. Обе сопровождал экскурсовод Алексей. Профессионально, интересно, не скучно. Очень довольны качеством излагаемого материала. Получили полное представление о Беларуси, образе жизни, достопримечательностях. 25-November-2018 Очень довольна тем, что можно оплатить не выезжая за пределы своего города. Быстро выслали информацию и договор, номер заявки. Доброжелательность и эрудированность экскурсовода приятно порадовали. Понравилось аккуратное вождение автобусом, я как сама водитель, оценила. На высоте! 14-October-2018 Уже второй раз попала на экскурсию с Натальей! Была очень рада! 21-August-2018 И мне, и детям экскурсия очень понравилась. Желательно увеличить свободное время ещё на минут 15. Отведённых 20-30 минут на сувениры мало.